Nowadays, cultivators are able to select desired characteristics of growth, appearance and effect. This can be really useful in finding a strain that's right for you and your needs. Determining the strength of cannabis is not always straight forward, once you have have chosen which strain you would like to use, there are also a number of factors which will affect the THC content of the bud. The main external factors influencing the strength of your bud are: Location (e.g. indoor vs outdoor), growing medium (e.g. soil or hydroponics), nutrient levels, light source, temperature & humidity and carbon dioxide levels. Although there are many methods of growing cannabis, they all come with a different set of pros and cons ... for example, if you wanted to grow your plant under some of the UVB spectrum, you would either have to find a nice mountain close to the equator or purchase some UVB emitting LEDs. Both of these methods have problems; LED lights are rather expensive, and walking up a mountain to grow your bud will also leave you feeling pretty low on energy. Genetics also affect the strength of the plant. Genetics are what holds all the information about the plant. How much THC and CBD it produces, how it smells and tastes and how it grows. Cannabis displays a mix of traits from their parent strains just like humans. Stable genetics produce predictable features passed down from parent strains, whereas unstable genetics can often give the offspring unpredictable features which can be difficult to manage. That being said, it’s important to take all these factors into consideration when you begin your garden so that you know what kind of strain is most suitable for you. Landrace and heirloom seeds for example, have been cultivated for centuries and have traits specific to adapting to their native environment. On the other hand, when growing indoors you may want to find a strain that is less pungent, smaller in size and more pest resilient. It is for this reason that you should have a good idea about how you intend to grow your garden before you chose your seeds. So now we’ve got that out the way, what are the best and strongest strains out there? This fat monster has buds with a yellow tinge. You may also notice the distinct banana aroma. This is Fat Banana, the hybrid with Kush genetics that make for one powerful indica. The fruity flavour is just the beginning of its impact. It often records a THC content higher than 25%. At those levels, you're getting into a very strong high that is not recommended for novices. Seasoned smokers will appreciate how well it stimulates appetite and soothes anxiety. The euphoric effects of this indica are particularly suited to helping one get to sleep. It's only recently that Gorilla genetics have been made available outside the United States. Your opportunity to experience this knockout strain is finally here with Royal Queen Seeds' Royal Gorilla. These pleasantly light-green buds have been known to reach 26% THC content. This balanced hybrid was stumbled upon by breeders. Its incredibly euphoric high comes with mouth-watering citrus flavours with pine tones. Its balanced high makes it suitable for therapeutic use. Order now and meet the strain you didn't realise you needed in your life. In California alone, there are different regions competing to cultivate the best cannabis. Out of the San Francisco Bay Area comes Green Gelato, a must-try for any cannabis-lover with a sweet tooth. The parent plants Sunset Sherbet and Thin Mint Cookies are already famous for their sweet flavour and strong high. Combining them has led to something even sweeter, with a THC content passing 25% to boot. This intoxicating mix of fruity tones, sharp mint, spicy kush, and warm cookie flavour has to be tasted to be believed. Expect an uplifting high that chills your body out with arresting couch-lock. Colorado was among the first states in the US to legalize recreational marijuana. The first-movers of that state have been cultivating some of the most impressive hybrids known to humanity. A particular standout is already taking dispensaries by storm, and has made its way to Europe and beyond. HulkBerry has attained cult status in a short amount of time following its success at the 2014 High Times Cannabis Cup. It was unmistakable how strong this strain was, with a THC content surpassing 28%. The breeding of OG Kush with Strawberry Diesel means a powerful mix of indica and sativa effects will accompany a delicious fruity taste. After haze genetics came to the Netherlands, several hybrids were made. Later the seeds were combined with a male derived from old school Haze plants. 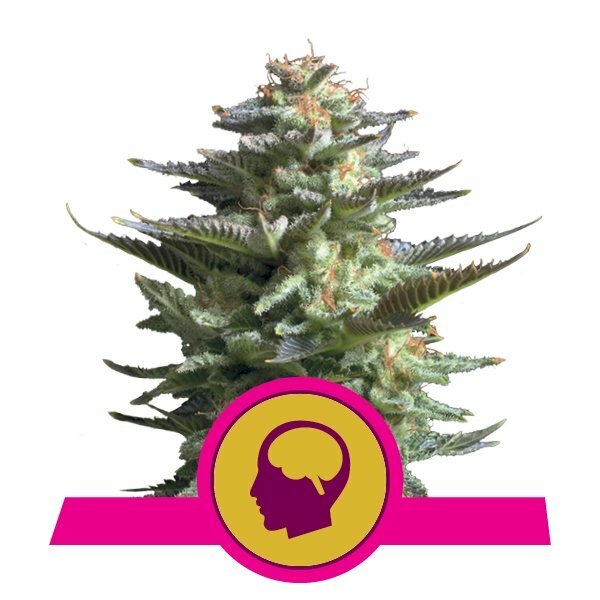 The result is Amnesia Haze, like the name suggests, a truly psychedelic head high which can allow the user to turn off their brain completely after a session. It has a fresh and fruity flavour.